Impact investing: Harbinger of A Brighter Future and A Friendlier Bond Market? Such observations may seem entertaining but irrelevant in countries like India, where the mix of financial assets favours stocks over bonds by 45 % to 19 %, in contrast to the United States, where the mix favours bonds over stocks by 47 % to 35 %. Exclude government debt and the contrast grows starker. In 2006, before the crisis, private-debt securities constituted 36% of all financial assets in the United States versus a mere 2 % in India. And the denominator, remember, was larger in the United States, where financial assets amounted to $56 trillion versus less than $2 trillion in India. Economic historians, understandably occupied with efforts to understand the crisis we now know was around the corner, can be forgiven for overlooking an event that may well take the edge off future crises: the International Finance Facility for Immunisation’s (IFFIM ) inaugural offering of bonds, which took place on Nov.14, 2006, in London and succeeded in raising $1 billion. With some $70 trillion of bonds outstanding at the time, raising $1 billion may not seem like much, but there was something special about IFFIM’s bonds. It was not their pedigree. IFFIM’s bonds were rated triple-A by the major rating agencies, but so were many others. Nor was it their price, for IFFIM’s bonds cost about as much as other sovereign and supranational issues. What was unusual was that the proceeds of IFFIM’s bonds would pay for vaccines and health services in 72 of the world’s poorest countries. If its mission to raise $4 billion is successful (and later issuances have already brought the cumulative total to $3 billion), IFFIM will have succeeded in protecting 500 million children through immunisation. There are, of course, more meticulous definitions. 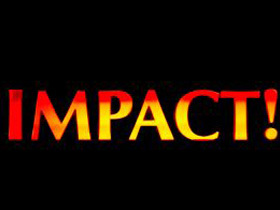 Jessica Freireich and Katherine Fulton of the Monitor Institute, a think tank, define impact investing as “Actively placing capital in businesses and funds that generate social and/or environmental good and at least return nominal principal to the investor.” In 2009, Freireich and Fulton estimated that impact investing could, over the next five to ten years, grow to account for 1% of assets under management worldwide—about $500 billion. Another way of getting to grips with impact investment is to ask how much money could be invested profitably in businesses serving those to whom C.K. Prahalad drew attention in The Fortune at the Bottom of the Pyramid. One team that took this approach was led by Nick O’Donohoe of J.P. Morgan and Antony Bugg-Levine of the Rockefeller Foundation. They defined impact investments as “investments intended to create positive impact beyond financial return” and found that “the market opportunity for [impact] investment is vast.” Even though they examined only five sectors of special importance to those living on less than $3,000 per year (water, health, housing, education and financial services), the researchers concluded that, over the next ten years, these sectors could absorb $400 billion to $1 trillion in capital and generate $183 billion to $667 billion in profits. Few markets bring together so many for-profit investors as the bond market. In that staid world, IFFIM’s inaugural offering was the first sign that things were changing. The United Kingdom, which was instrumental in setting up IFFIM, launched an even more audacious experiment in 2010, introducing what are called social impact bonds. Unlike IFFIM-style bonds, which rely on public-sector funding, social impact bonds rely on private-sector funding. Take recidivism, for example—the problem of repeat offenders. In the United Kingdom, 60 % of those jailed for less than 12 months end up back behind bars within a year of their release. Cutting recidivism by 20 % would allow the government to close four prisons in five years, saving money and helping society. In 2010, an organisation called Social Finance raised £5 million (about $8 million) by issuing bonds to investors. It handed over the money to the St Giles Trust, which counsels offenders while they are in jail and helps them find work when they get out, reducing recidivism by as much as 40 per cent. The trust will put the money to work at the Peterborough prison in Cambridgeshire. If it fails, investors get nothing. If it cuts recidivism by 7.5 per cent, investors start to see returns. And if it does better, the United Kingdom’s justice ministry will pay more, up to a maximum of 13 per cent. This could be the next big thing in impact investing. Social impact bonds can tackle problems that governments find hard to solve, because elected officials find it harder to fund prevention than cure. David Robinson, a member of the Prime Minister’s Council on Social Action in the United Kingdom puts it thus: “It is difficult to get rid of the ambulance at the bottom of the cliffin favour of a fence at the top.” With social impact bonds, taxpayers pay nothing if society does not benefit. As it happens, ambulance service offers a good example of another approach to impact investment, one that combines debt and equity. Between 2007 and 2009, Acumen Fund lent some $120,000 to, and bought shares worth $2.5 million from, Ziqitza Healthcare, which started as an ambulance service in Mumbai and has expanded to Kerala in southern India and Bihar, Punjab and Rajasthan in northern India. Ziqitza’s charges vary depending on the patient’s ability to pay, as revealed by the choice of destination. The poorest patients, usually those seeking admission to the general wards of government-run hospitals, pay half the standard fare. In some cases (roughly one in five), they pay nothing at all. Ziqitza has answered more than 100,000 calls since its launch in 2005 and has won more than $80 million in government contracts. Its social impact is large and growing. Even the United States, the world’s largest and most liquid financial market, is ready to embrace social impact bonds, complete with a Madison Avenue–style rebranding: in its budget proposal for fiscal 2012 the Obama administration set aside $100 million in seed money for what it calls “Pay for Success” bonds, which would be used to improve job training, education, juvenile justice and care of children’s disabilities. Shreedhar Kanetkar is the Associate Director of ISB’s Centre for Investment.